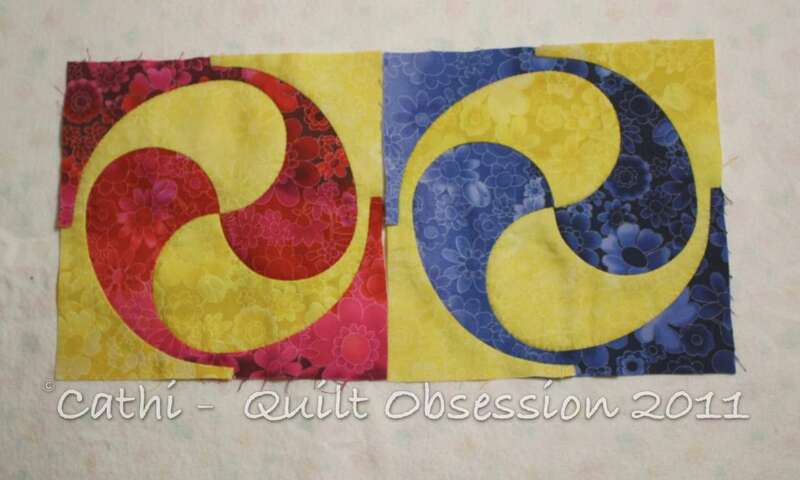 I just couldn’t resist and had to see how the Yin Yang block would look in brights as well as the spice fabrics. These blocks may be the beginning ones for a stitching book cover or, who knows, maybe I’ll make a small Yin Yang quilt of primary colours. Yesterday I had a link to the collection in my post, but it didn’t work. Here’s the correct link for the Yin Yang collection. 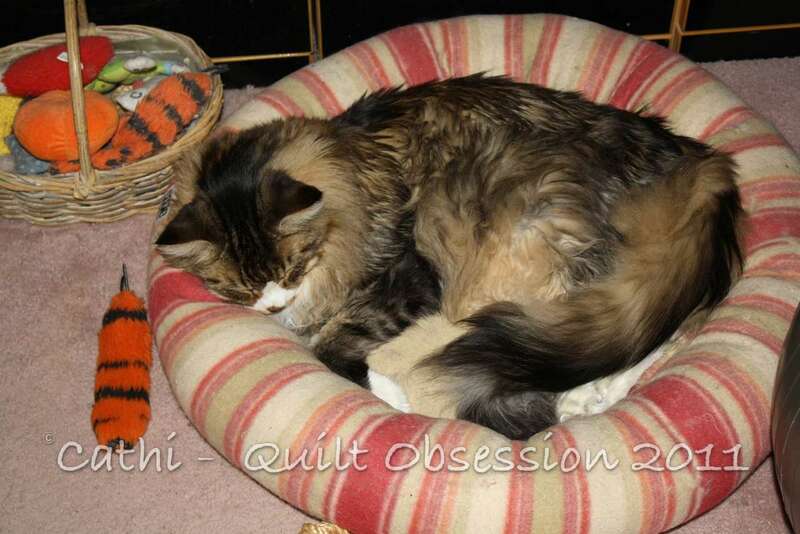 Sleepy Cat Hollow left a comment on yesterday’s post with a suggestion for another name for the Spice or Chocolates and Caramel quilt that I loved — Contented Kitty, saying that it looked like Smudge curled up in his kitty bed. 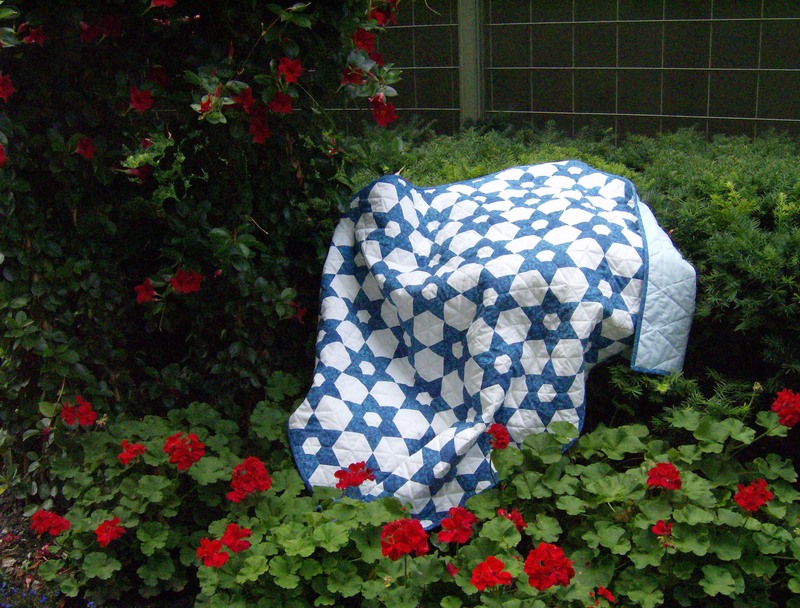 So now I think that quilt will end up being called Contented Kitty. 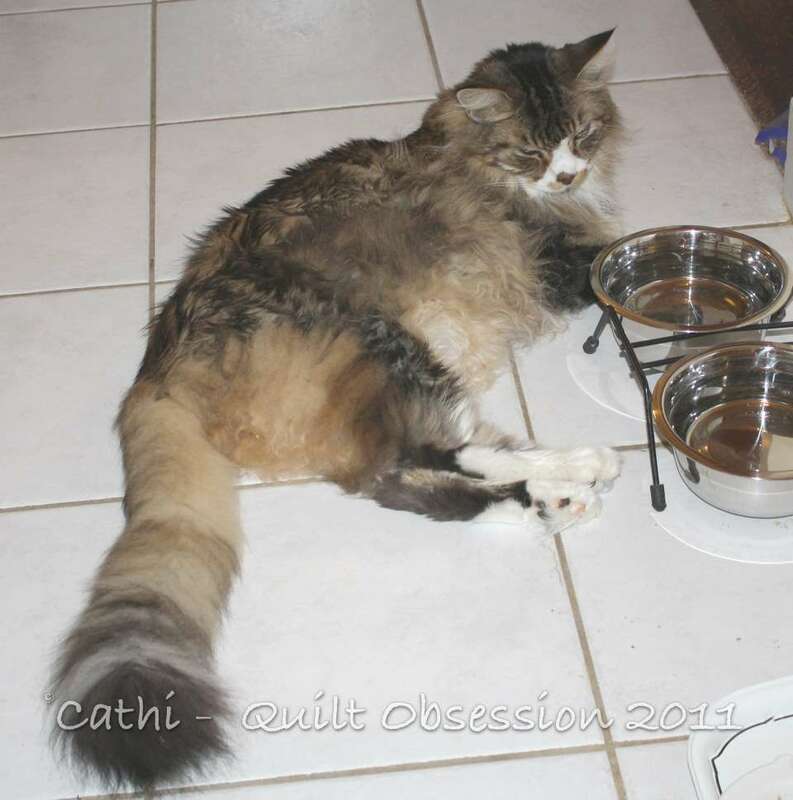 Smudge likes to lounge by the water bowls before he sticks his head right in the water. Mr. Q.O. got this shot of him just before he moved over and put his head in one of the bowls and was dripping wet. 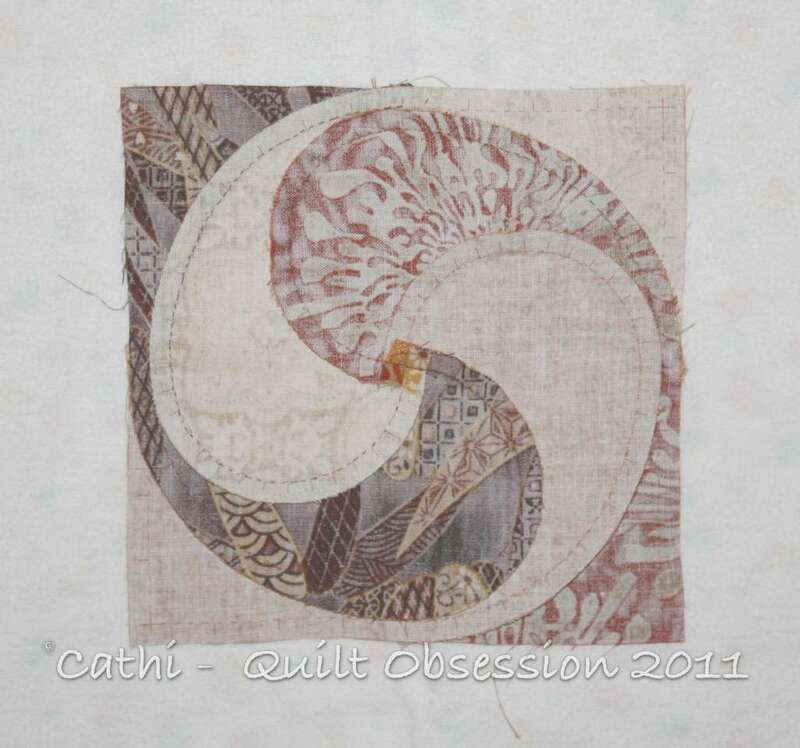 Ever since I saw the Yin Yang block on Barbara Brackman’s blog months and months ago, I’ve wanted to stitch it. On Sunday, a new Inklingo Yin Yang collection was released and I had to dive right in! 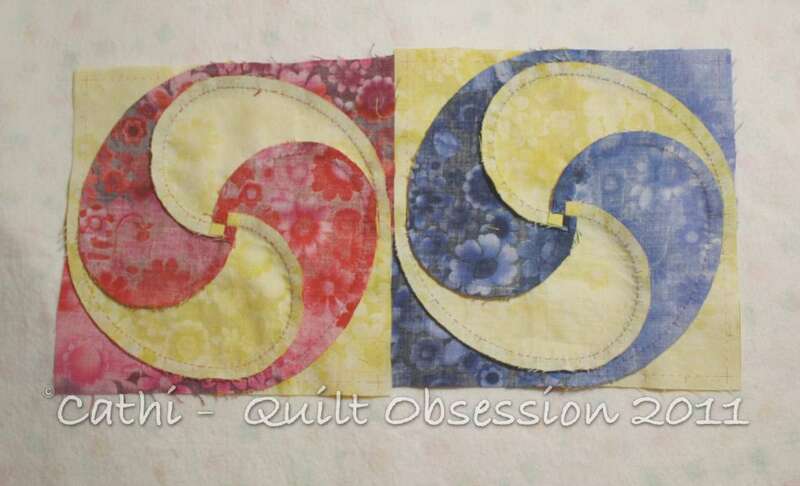 The fabrics I had set aside for the Spice quilt were back out, I had the shapes printed and cut out in a matter of minutes and a few hours later, four blocks were done. About a month ago, I tried to prep pieces to stitch this block with freezer paper templates. In the past I’ve used freezer paper templates without problems, but for this shape? It just wasn’t working at all. When stitched together, the block had a rather tent-like look that was impossible to get rid of no matter how much I pressed it. My stitching lines and matching points just weren’t anywhere near perfect or fine enough. But with Inklingo printing the stitching lines and matching points, it was easy as could be. So I was absolutely overjoyed when the collection was released. They press like a dream and, once pressed, are perfectly flat. I’m torn now between thinking of this as the Spice Quilt or Chocolate and Caramels. 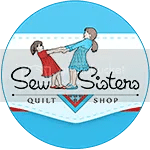 There are tons of fabric choices one could play with working with this shape — batiks and hand-dyed fabrics, ’30s repros, shabby chic, black and white, primary colours. The list just goes on and on. 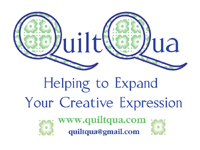 I have an idea for a baby quilt made with this shape which will be very fast to stitch as the blocks almost put themselves together. Smudge was nowhere near as excited as I was about these new shapes. He’s happy as long as he’s curled up in his kitty bed with the toy basket nearby. Sunday night I was watching him as he ever so slowly put both front paws in the toy basket and dragged it over closer to the kitty bed.